Robby is the heart and soul of Finish Line Motors. He has been here since the beginning and has built the dealership on his back with hard work and dedication while always serving the public with his big heart. Also, a huge Mountaineer and New England Patriots Fan! Phillip has always been a great customer and friend to the dealership. His vast knowledge of automobiles gave him a head start in the sales profession. If you have a Volkswagen or a Jeep in this area Phil probably owned it first. Come in to buy something from him or just to chat about cars. 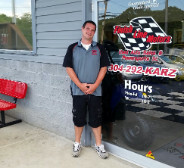 Adam was our go to guy when opening up our service department to better serve our customers. With his love for all cars and his amazing mechanical skills, Adam was the obvious choice to head the shop. 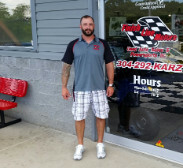 If your vehicle needs service work or you just want to stop by to discuss horsepower, Adam is the guy to see.